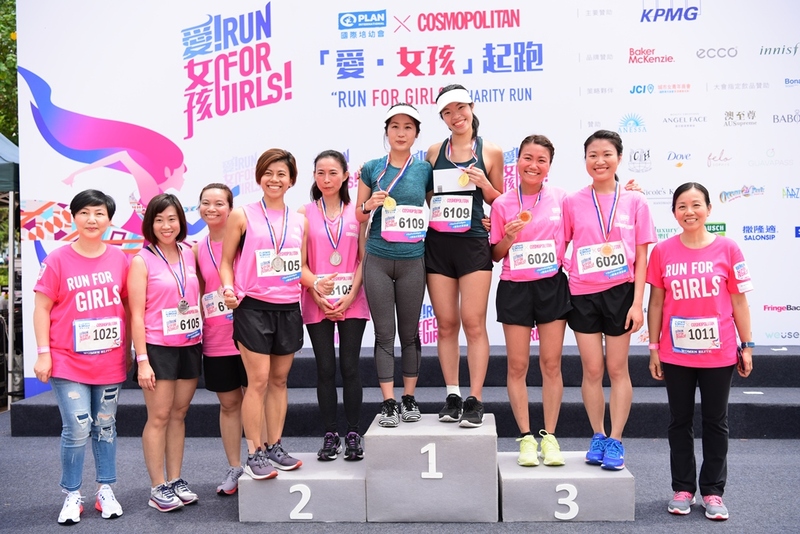 The second Run for Girls co-organised by Plan International Hong Kong and women’s magazine Cosmopolitan was successfully held on 29 April. 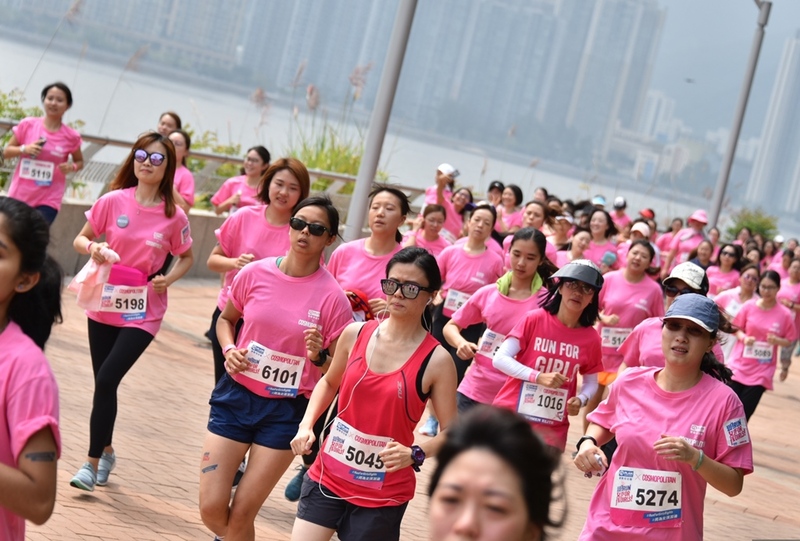 Nearly 1,200 females signed up for the 10.11Km or 3Km race to fight for girls’ rights and justice. 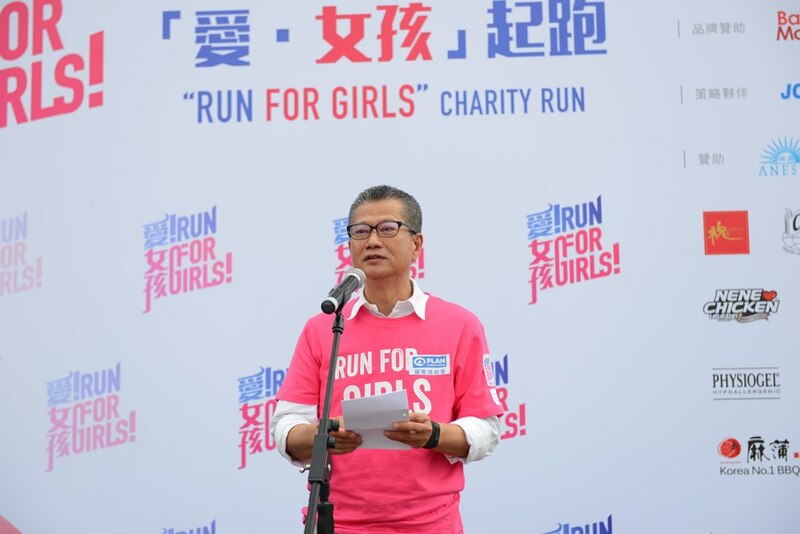 Mr. Paul Chan Mo-po, GBM, GBS, MH, JP, Financial Secretary was the officiating guest of the opening ceremony of the run. 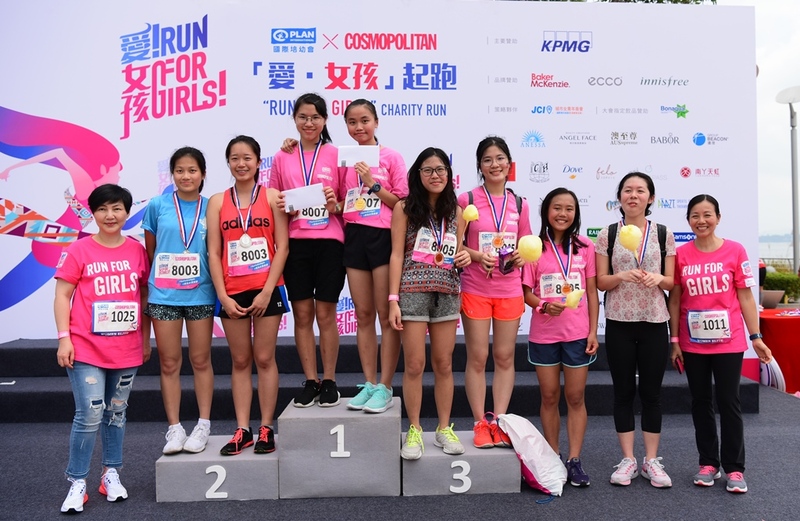 As one of the ex-beneficiaries of Plan International Hong Kong, Mr. Chan decided to pass the love on by sponsoring underprivileged children around the world. He also visited his foster parents in the United States several times. Mr. Paul Chan Mo-po, Financial Secretary pressed for more support for children’s rights, especially the rights of vulnerable girls. 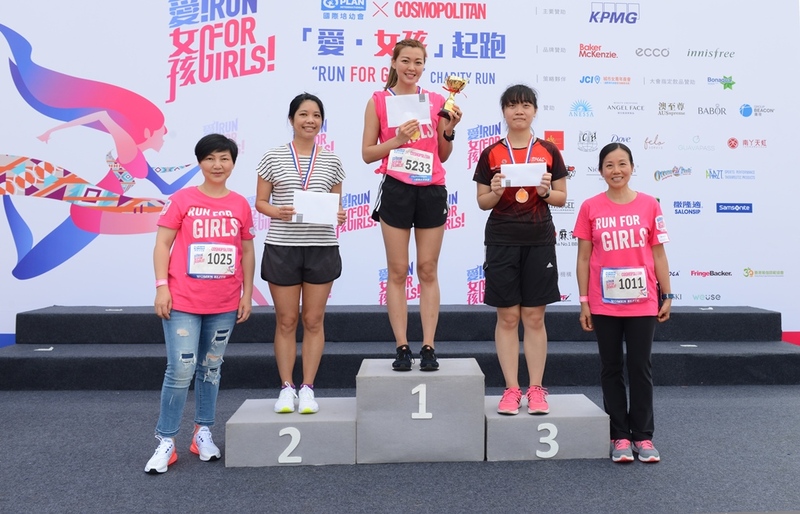 Ms. Chan Yuen-han, Chairperson of the Women’s Commission, Ms. Stephy Tang, Honorary Ambassador of Plan International Hong Kong, Ms. Lisa Cheng, Because I am a Girl Ambassador, Ms. Chrissie Chau and Ms. Aka Chiu, Run for Girls guests also attended the ceremony. Ms. Stephy Tang, Honorary Ambassador of Plan International Hong Kong shared her visit to Nepal. 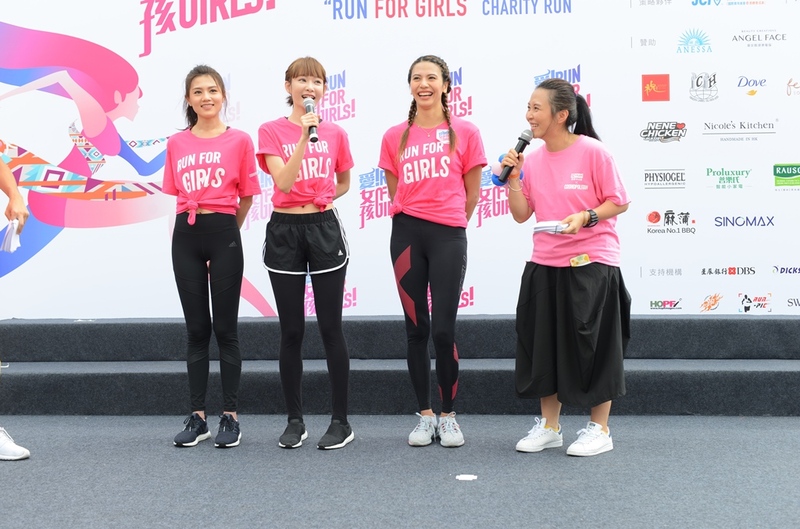 Ms. Lisa Cheng (R2), Because I am a Girl Ambassador, Ms. Chrissie Chau (L1) and Ms. Aka Chiu (L2), Run for Girls guests call on public to help girls in developing countries. 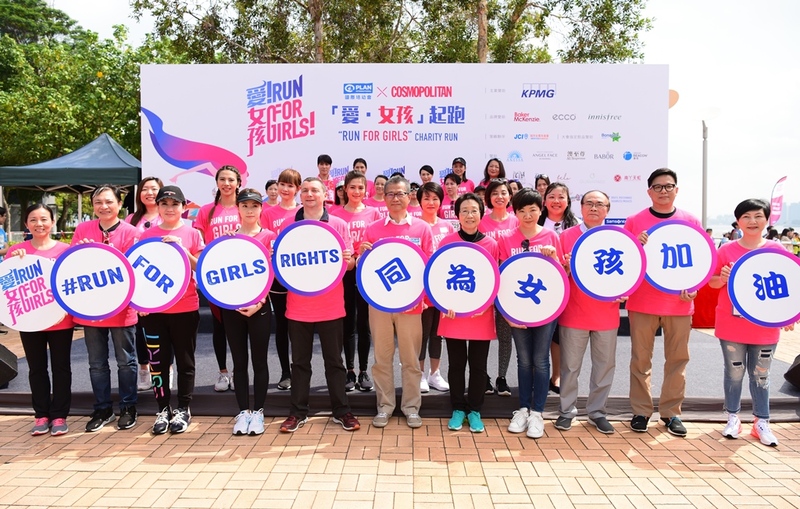 Mr. Chan presided over the ceremony with other guests by flipping over foam boards to show hashtags #RunforGirlsRights and #同為女孩加油. 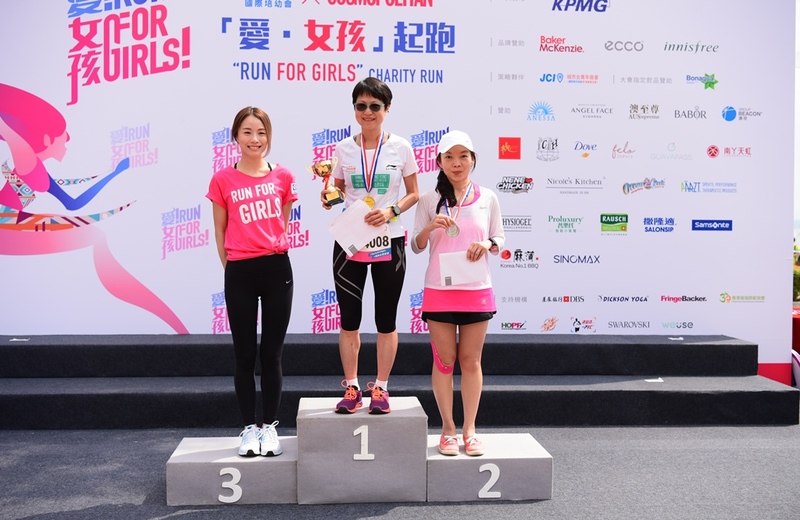 Thereafter, Mr. Chan led the guests to the starting line and fired the starting pistol to set off the 3Km race runners. Guests officiated at the opening ceremony. 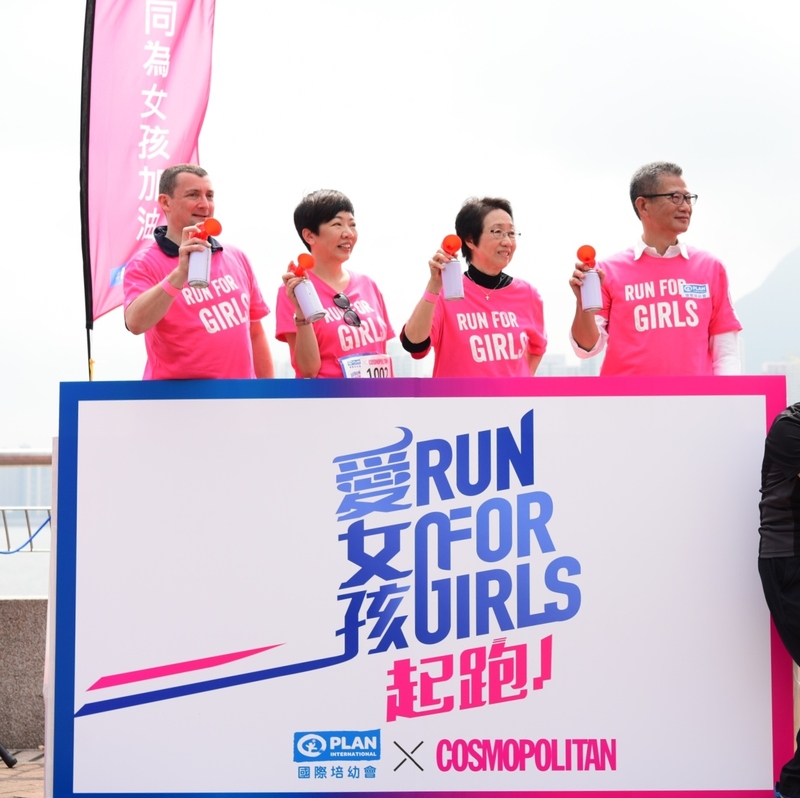 Mr. Paul Chan Mo-po, Financial Secretary (R1), Ms. Chan Yuen-han, Chairperson of the Women’s Commission (R2), Mr. Andrew Weir, Board Chairman of Plan international Hong Kong (L1) and Ms. Josephine Chan, Managing Director of Cosmopolitan (L2) fired the starting pistol. 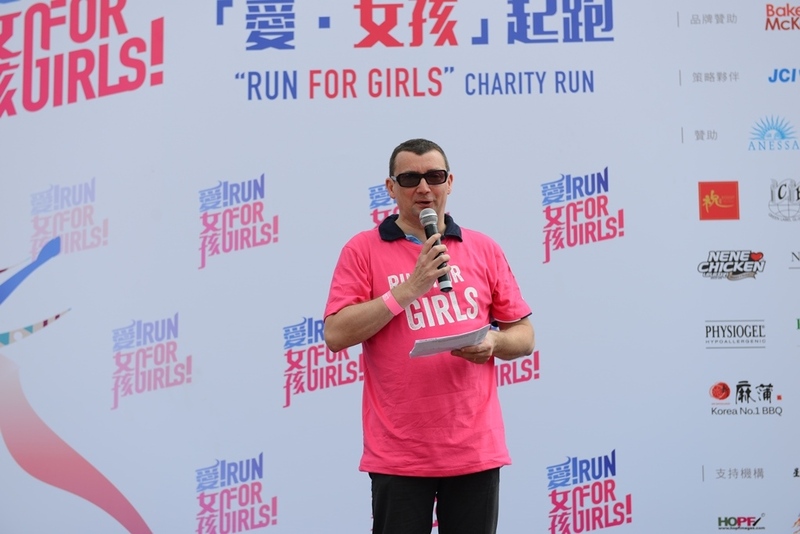 Mr. Andrew Weir, Board Chairman of Plan international Hong Kong delivered the welcoming speech and expressed gratitude for the public support and participation in the event, “Plan International strives for a just world that advances equality for girls. Through concerted efforts around the globe, 25 million child marriages were prevented over the last decade. While this achievement should be celebrated, we have got a long way to go. 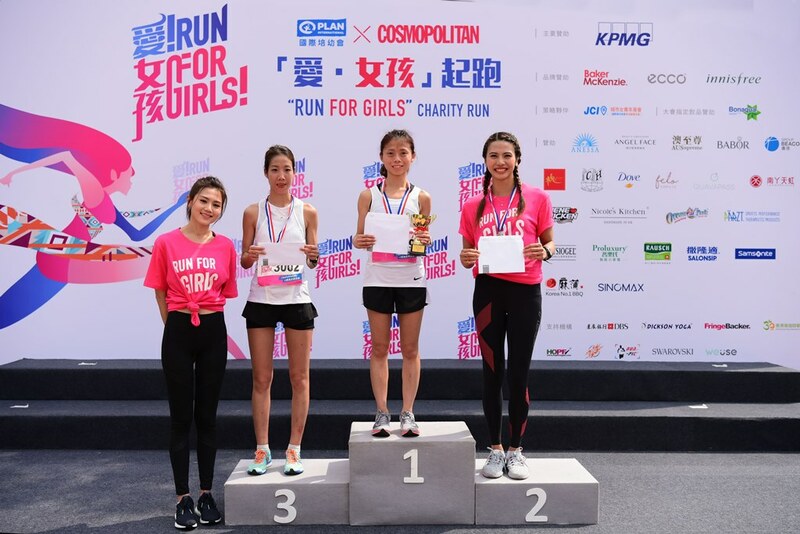 Over the next several years, we will transform the lives of 100 million girls, ensuring they all learn, lead, decide and thrive.” The net proceeds of the Run will go to Plan International Girls Fund for supporting its anti-human trafficking work in Nepal and other projects that empower girls. 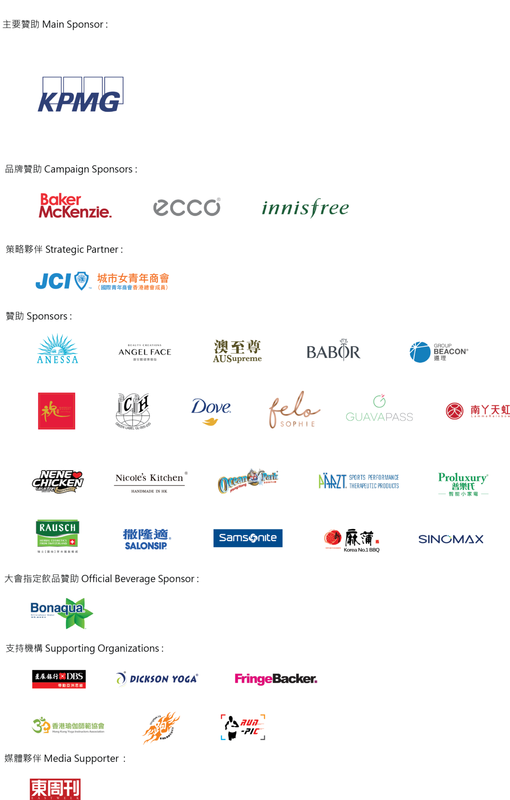 Mr. Andrew Weir, Board Chairman of Plan international Hong Kong expressed gratitude for participants’ support. 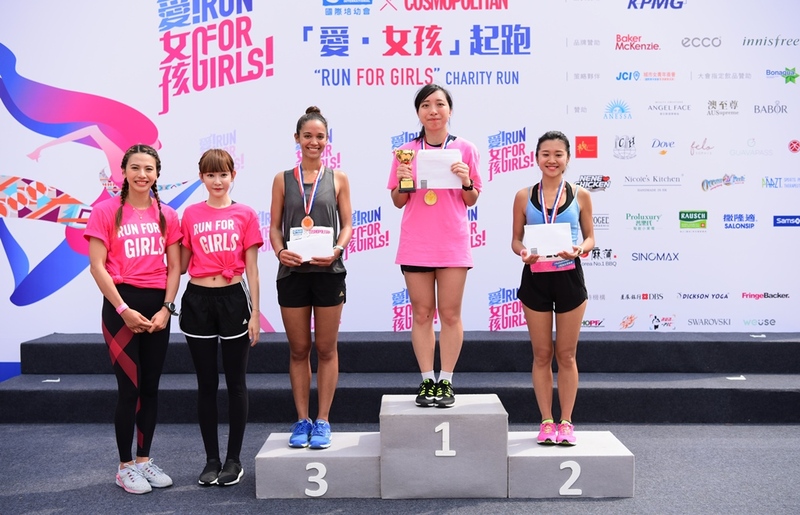 A “Women Elite” category was added to the Run. 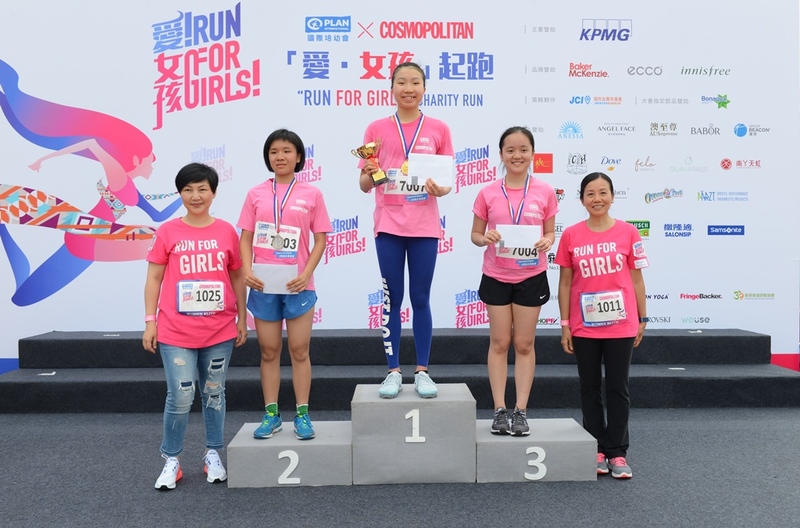 Phenomenal women across industries, who are making great contributions to the society, joined the 3Km race to support girls’ rights. Women Elite held up their right hands, which signified their support for girls’ rights. 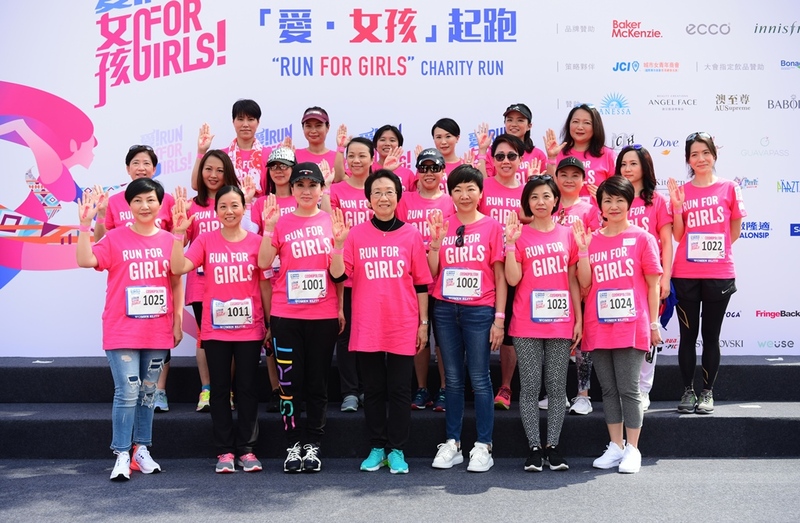 Run for Girls would not have been successful without the generous support from participants, main sponsor, campaign sponsors, strategic partner, sponsors, official beverage sponsor, supporting organizations, media supporter and volunteers. We would like to give a big thank you to them.